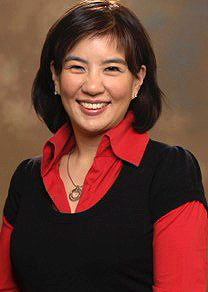 Yu-Lien The is an assistant professor of keyboard studies at Western Michigan University. Her performances throughout Europe, Southeast-Asia and the U.S. have included appearances as a soloist with the Nordwestdeutsche Philharmonie, the Kammerorchester Hannover and the Baroque Orchestra L'Arco. A prizewinner of the 12th International Piano Competition Viotti-Valsesia and the Deutsche Musikwettbewerb, she has performed at the Gilmore International Keyboard Festival (2006, 2012) and at Carnegie Hall, New York (2006) with the new music ensemble Opus21. Frequent collaborations with saxophonists Joe Lulloff and Henning Schröder led to several world premieres of new commissions for saxophone and piano. Born in the Netherlands, The received most of her musical training in Germany, where she obtained degrees in piano and recorder performance from the Hochschule für Musik und Theater Hannover. She received an Artist Diploma from the Hochschule für Musik Detmold, a M.M. in piano performance from Western Michigan University, and a D.M.A. in piano performance from Michigan State University. The has previously served on the faculties of WMU, Valparaiso University, and Bowling Green State University.